Month after month, there are many foreclosed properties for sale from different banks or financial institution. Foreclosed properties are considered to be non-performing assets. So if you are looking for a property to buy as an investment, foreclosed properties are your best option. These properties are sold below their actual market value aside from discounted sales. Lately, foreclosed properties are one of the options of many Filipino homebuyers or real properties investors. Not only foreclosed properties are affordable, also many people are making a money out of it by turning them into rentable units or saleable homes in the future. 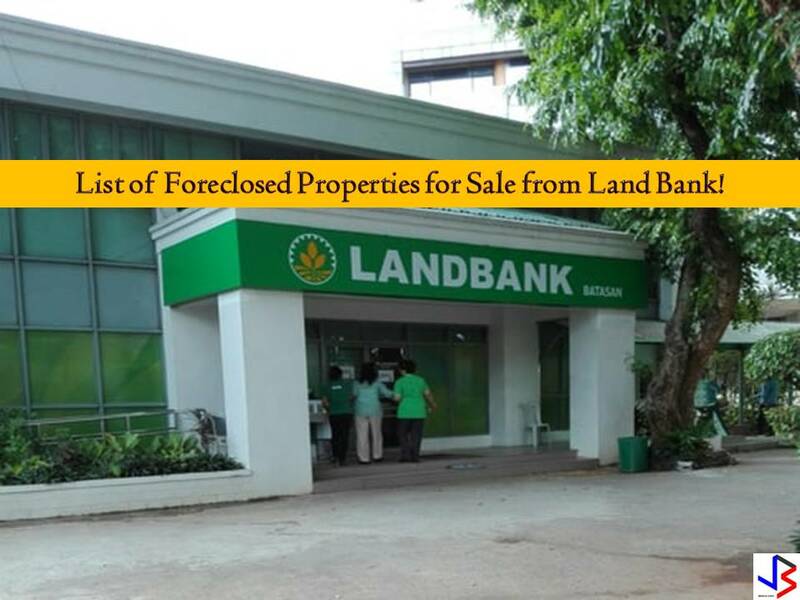 For whatever reasons you have, here are some foreclosed properties for sale from Land Bank of the Philippines for this month of August 2018. Note: Jbsolis.com is not affiliated with Land Bank and this post is not a sponsored. All information below is for general purpose only. If you are interested in any of these properties, contact directly with the bank's branches in your area or in contact info listed in this post. Any transaction you entered towards the bank or any of its broker is at your own risk and account. This article is filed under bankruptcy house, financial institution, foreclosure listing, non-performing assets, actual market value, find foreclosed homes, house and lot for sale, and vacant lot for sale.